The third of the eight limbs we'll explore, is the third tenet of the Yamas... Asteya. Do you tend to look outside for your truth? Do you wish you had someone else's possessions or wealth? Do you hold onto too much stuff? Do you ever think you aren't enough or that you don't have enough? 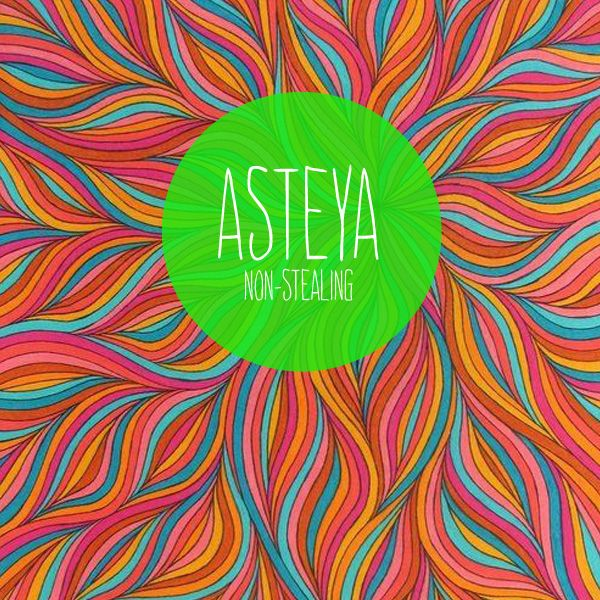 Within the yoga sutras, Asteya is translated as "non-stealing." This can easily be understood in regard to material possessions — to literally not steal or to not take something that is not yours. It can mean giving credit where deserved, receiving from others, and repaying others what is owed. 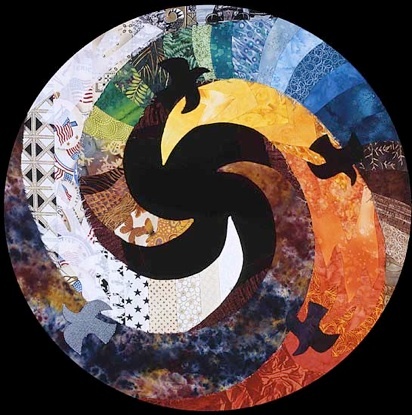 Asteya also encourages one to reside within their own inner abundance, to recognize the truth that lives within their own light, and to honor their gifts by sharing their wealth with others. This does not mean giving away everything out of martyrdom, but rather living in alignment through the practice of right exchange of energy and balanced relationships. The sutra of Asteya specifically states that "When one is established in asteya, riches present themselves freely." The sutra suggests that when giving from the fullness of who we are, the wealthier we become. And wealth can come in a myriad of ways from inner wealth, to the feeling of abundance, to fullness of relationships, to financial freedom. You might even consider that when you don't fully embrace your gifts that in some ways you might be robbing yourself of experiencing the fullness of who you are and who you can become. And in turn may be robbing others from benefiting from the wealth your gifts provide in the world. Embracing your gifts also allows you to experience the beauty and greatness of who you are in each moment, as you release worries, grasping, and fear about what you have or don't have. In yoga, especially in tantra, there is the understanding that the inner world is really a microcosm of the outer world, the macrocosm. That there is no separation from what is experienced inside to what is experienced from the outside. Asteya is interested in bringing the inner and the outer into aligned exhange, fullness, wealth, and abundance. So whether you are on the mat or out in the world, where there is equal exchange of energy, full presence of the moment, alignment with your gifts and integrity, and full nourishment between self and other, there is asteya.